2012 Road Trip Photos #34: the Kansas Cosmosphere, Part 1 of 2: Starship Graveyard « Midlife Crisis Crossover! 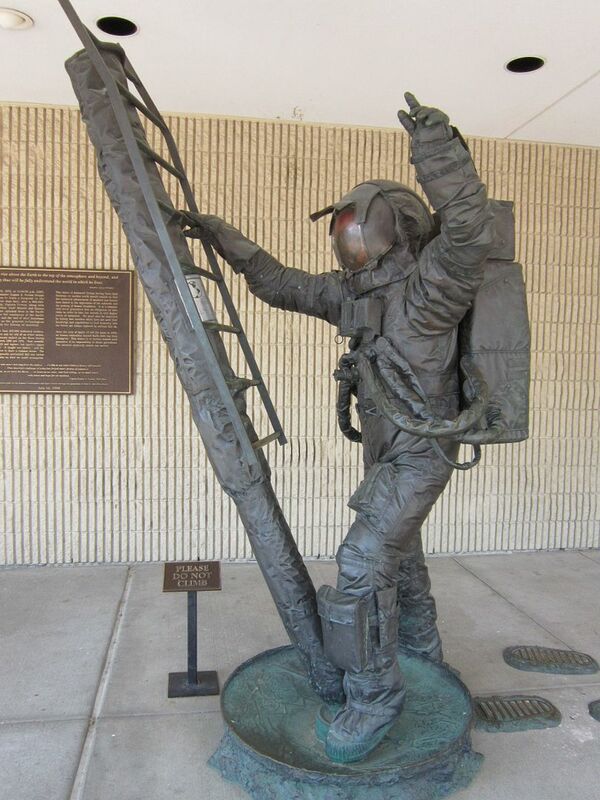 Astronaut greeter sculpture bids you welcome, asks you to keep your imaginations open and your complaints about NASA’s current budget to yourself. 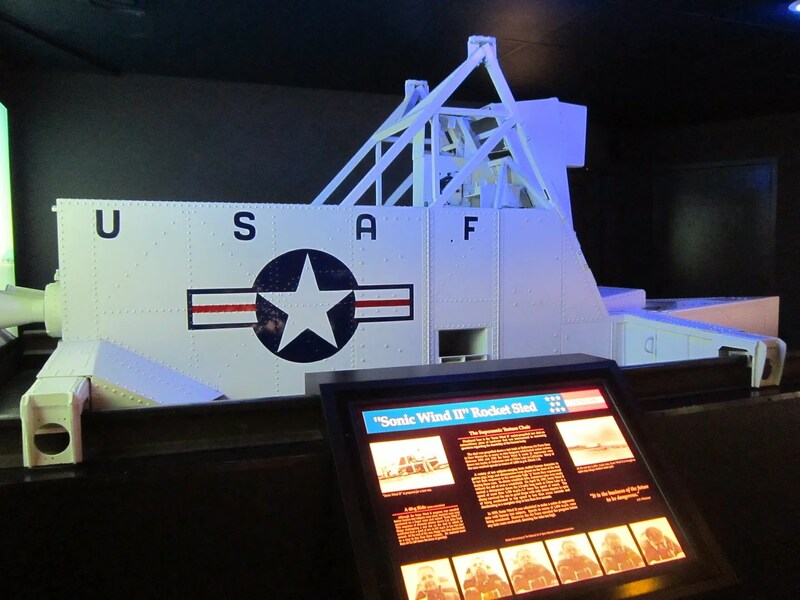 The exhibits begin even before you pay admission. 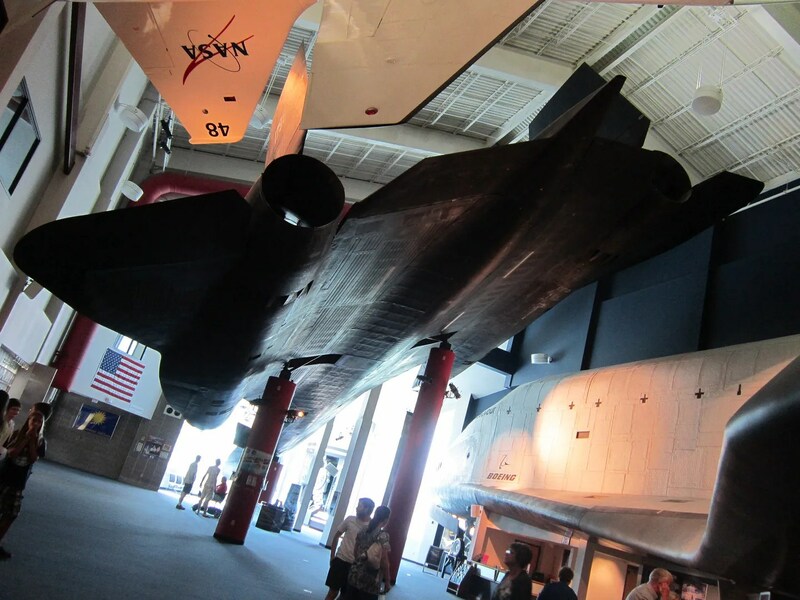 The enormous lobby holds a Lockheed SR-71A Blackbird and a facsimile of the left side of the Space Shuttle Endeavor. 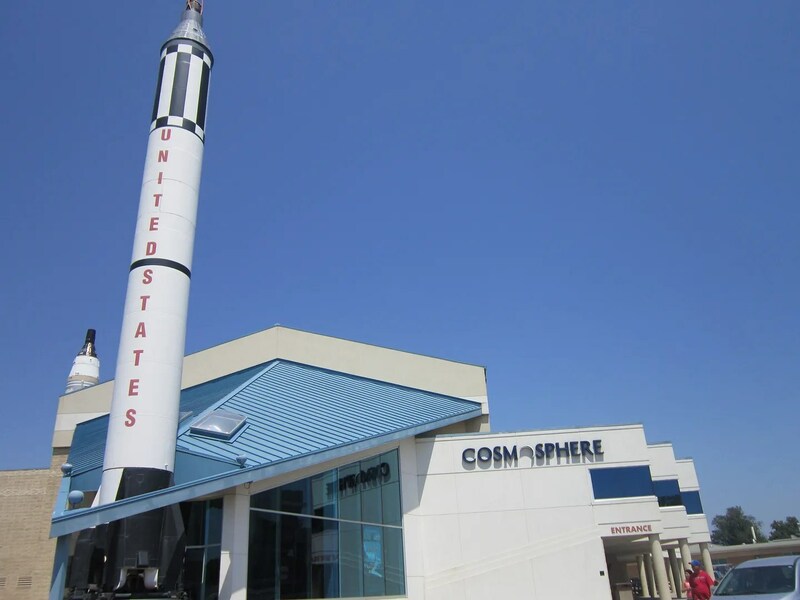 The Cosmosphere is no measly collection of photos and miniatures. 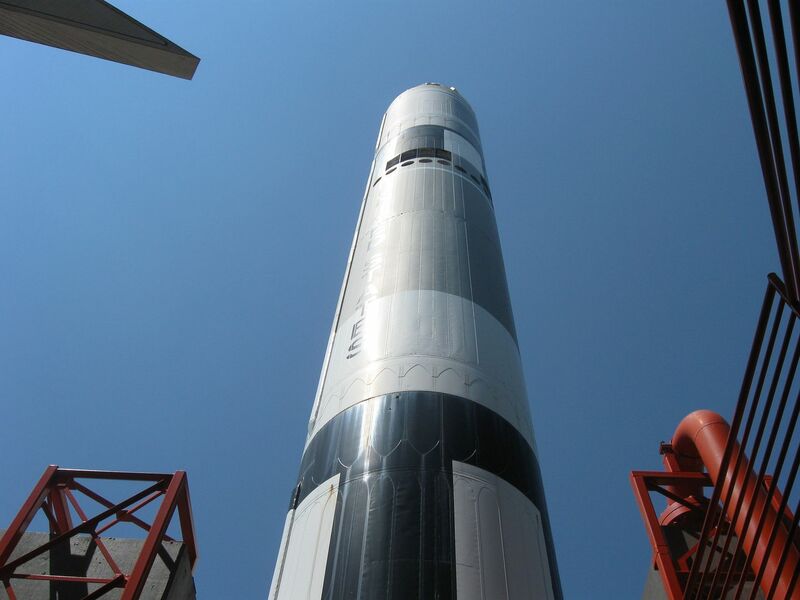 This Titan II rocket is quartered in an outdoor enclosure equipped with subwoofers simulating the roar and rumbling of takeoff, with none of the messy flames and killer smoke. 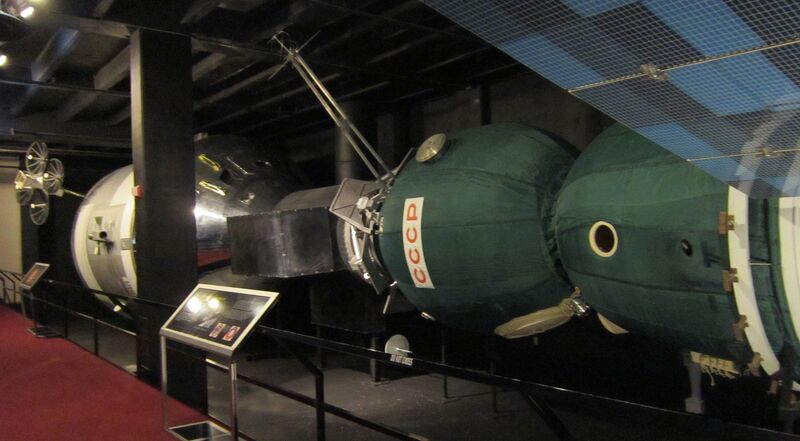 Bridging the gap between the American and Russian exhibits is this backup from the Apollo-Soyuz Test Project. It was never flown, but is no less real. 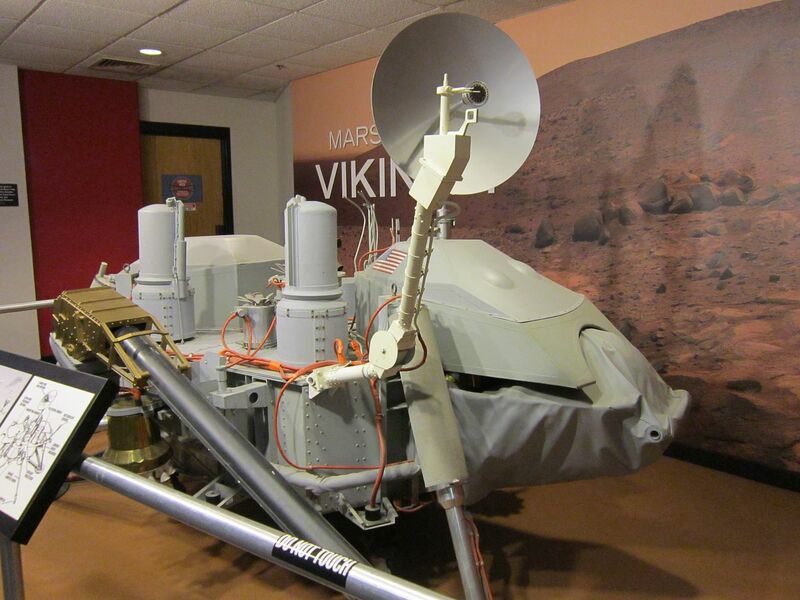 This test version of the Viking I Lander theoretically could’ve weather the trip to Mars if only someone would’ve let it. Less airworthy is this model of the Glamorous Glennis, the Bell X-1 craft in which he-man Chuck Yeager became the first human to pass Mach 1. 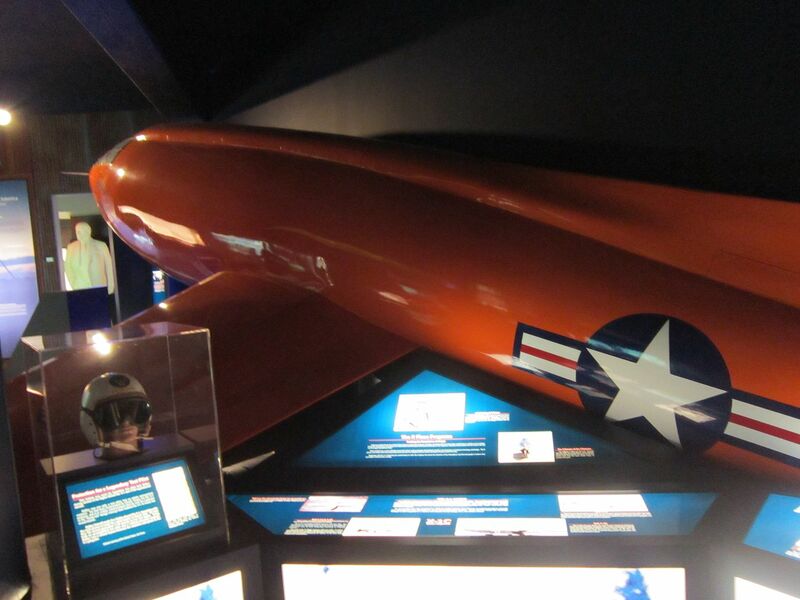 Sonic Wind II was a rocket sled used in the late 1950s for testing purposes, captained at various times by chimpanzees and dummies. 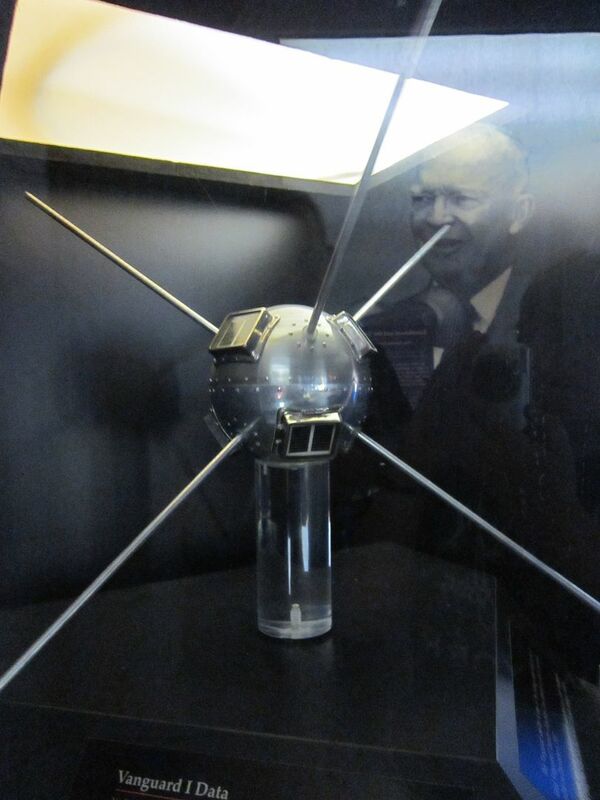 At the smaller end of the spacecraft spectrum is the Vanguard I, America’s answer to Sputnik. The first solar-powered satellite has remained in Earth’s orbit for over fifty years, while this backup version remains in captivity. 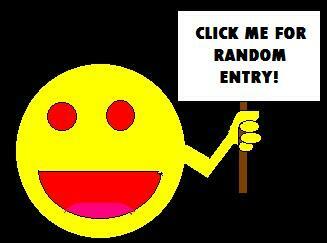 I know the feeling! Some of our other stops were more for my wife than for myself. Unfortunately, the one major shopping mall in Hutchinson (across from our hotel, in fact) was, as I understand it, nearly deserted and dead. Kind of a shame.